Hanover at J.R. Tucker Invitational, now cancelled. 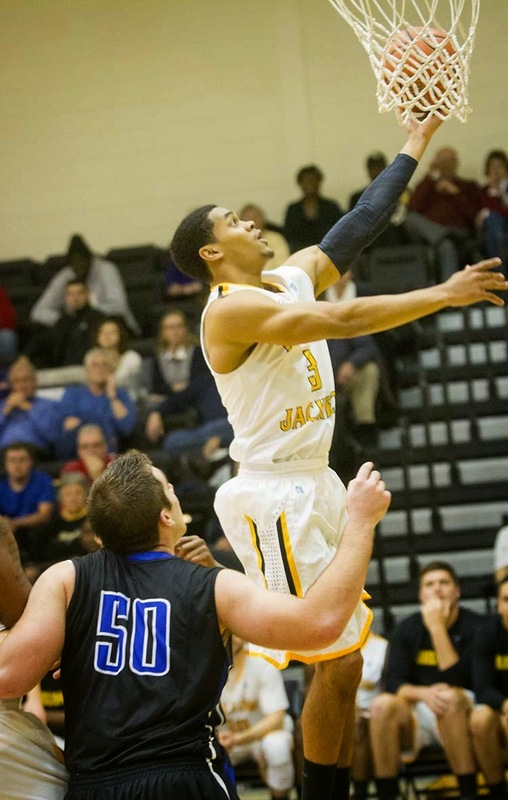 The only loss for Virginia Wesleyan this season was to Randolph-Macon in December, 55-47. And, though the Marlins are ranked higher, the Yellow Jackets are the team coming into tonight's clash at Crenshaw Gymnasium in first place in the Old Dominion Athletic Conference (ODAC) at 6-0. Will there be more scoring, or is another defensive struggle on the horizon? Tickets are still available and can be purchased at the door for the 7pm tip tonight! If you can't make it to the game, we'll have live real-time updates on Twitter exclusively at @hanoversports from The RVA Sports Network! Please note that we will adhere to the following bell schedule for Thursday's 2 hour delay. Currently, schools will operate on a two-hour delay Thursday, January 15th, as an "A" day. Students who normally travel to Hanover High for specialty center classes will not travel but should report to the front office to be placed in study halls. Block 1: 11:00 to 12:10, Block 2 1:30 to 3:30. Buses will leave Patrick Henry HS at 10:30 and 12:55.